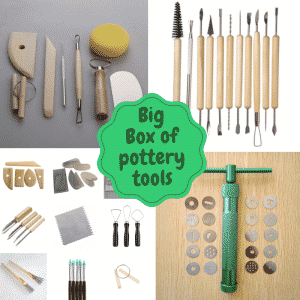 Pottery for Kids: How do kids benefit from pottery? 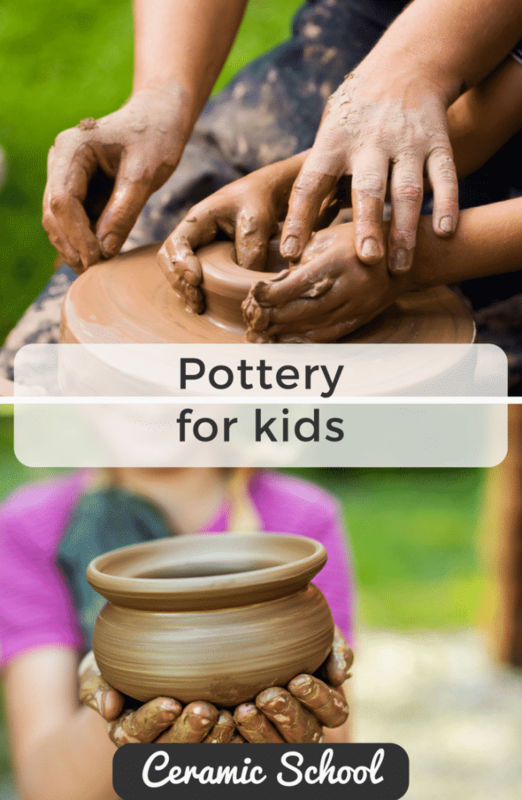 Pottery, for kids, is one of the most creative activities you can let your child experience. Kids are born naturally creative, and inquisitive. They are born filled to the brim with energy, and the need to express themselves. And as they grow, this need to express themselves only gets stronger. If you let them express themselves through the arts, they will be happier, more expressive, and generally better mentally. 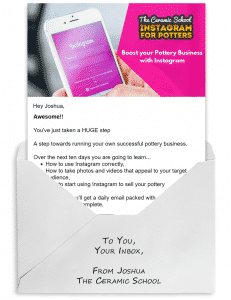 But that’s what’s so great about pottery – in that there is no template to stick to. There is no right or wrong, there is only self-expression & if you let your kids do pottery, then they can create literally anything. Even if you don’t fire and glaze your kid’s pottery, it’s still good fun to just get out a bag of clay and let them experience getting their hands dirty. You may not be left with anything physical, but often you’ll find that kids are left with a whole range of health and metal benefits, including better hand eye coordination, stronger motor skills, stronger problem solving skills, to name just a few. You will never forget seeing your child touching clay for the first time. The look on their little faces when they are busy squishing, pinching, rolling, pulling, (maybe eating) and generally shaping the clay to their will is beautiful and exciting. It gives them the freedom to express their creativity and the ability to change something with their own hands. Pottery kids often laugh and express joy at the feelings, smells, and sounds that clay can make. Manipulating the clay can be also simple first lesson for children, to help them understand that their actions influence the outside world and the art which they create. While shaping the clay, children must give care to carefully think about their actions – is the clay too thick, do I want to make it taller, how should this dogs’ tail look – and so on. It forces them think about and plan what they want to do to their creations. All of the physical actions these children take while creating art also cause them to use their hands and can strengthen their tendons, allowing for finer motor control overall and especially with regard to minute details. 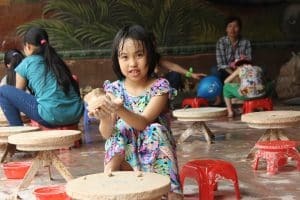 Over time, working with clay gives children more precise motor control, hand-eye coordination, and strengthens their ability to understand that their actions have lasting consequences in the world. Read on to find out about the other benefits of introducing your kids to pottery. Children love to express themselves, and having something physical to show or gift to others truly helps them blossom creatively. Having something three-dimensional in their hands gives them an increased sense of spatial awareness on top of being able to shape it to their whims. Knowing that they are in command of the clay and have the freedom to make what they want opens many doors for children, creatively speaking. It can give them confidence to pursue the ideas in their head and challenge themselves. This leads the children to greater levels of self-expression and imagination when it comes to creating. 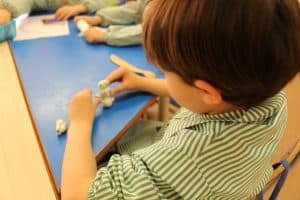 If children decide to express themselves with words or numbers on clay it can help with making written learning more meaningful to them as well. 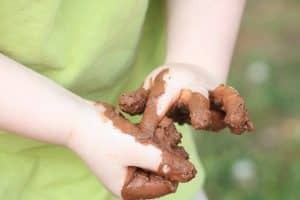 When children make mistakes in clay, but know how to go about fixing or resolving the issues, it gives them more confidence and self-esteem when they know they can fix it. 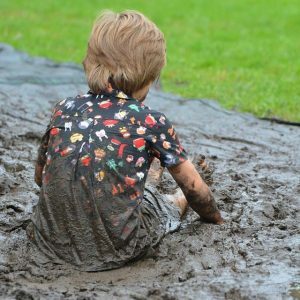 The forgiving quality of clay allows for children that fear failure to not be stopped by mistakes or missteps, and to help them understand that they can recover and learn from their moments of failure. Sculpting clay is a three-dimensional art, and thus it requires the child pursuing the art to understand spatial awareness. They need to move the form around; and move themselves around the form to see all the sides and examine the shape, form, and perspective of the piece. This not only helps them when it comes to creating art, but navigating in the real world around them as well. Working in clay gives children the knowledge to plan and problem solve as they create their three-dimensional piece. They wonder: How wide can I make this bowl before it flops? Will this tree stand straight or fall? Should my bird have open or closed wings? Working to create clay arts allows children to explore challenges, solve problems, and learn to recover from their mistakes as they happen. Children tend to not focus on a task for very long, but can get engrossed in their work when it comes to clay. Most of the reasons why they can get absorbed in their work revolve around the physical response from the clay, having a physical outlet to express their emotions and ideas, or having control and free will over the clay. 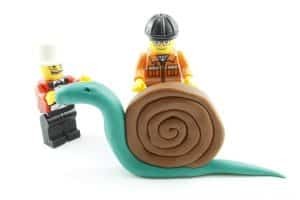 If a child has anxiety, attention issues, or has high activity levels then clay can potentially help soothe their anxiety by helping them focus and concentrate their energy into one task for extended periods of time. Even children with depression can benefit from working with clay by having a physical outlet to express their issues. Clay is not only used to help children, but is used as a therapy to help adults heal and cope from a variety of issues. The healing and calming nature of clay has been used to help people of all ages time and time again. Rules and guidelines are important in the pottery studio for health and safety issues. If a child does not follow this there can be negative consequences. However, the rules for the studio are easy for children to understand and they are very good about respecting the guidelines of the studio. The easy to understand procedures give children a chance to take responsibility for their own actions in a relaxed environment and can help those who have a harder time grasping the concepts. Giving children adult tools also makes them feel more conscientious of what they’re doing and how they are treating the tools they are given. This helps them build respect and a thorough approach to their work and the tools they are using. When it comes to children and pottery, the process of learning is often more important than how the product turns out in the end. The knowledge they gain from creating it helps them gain self-worth and know that they have the ability to create artistic pieces in clay. Having a finished piece gives children pride, and seeing the fruits of their labor physically instills in them the significance of the methods they were taught. Having a finished piece to hold on to or give as gifts to relatives adds a special value to the child’s life and can make sculpting clay a very memorable experience with souvenirs of their past challenges and triumphs.